WHAT is that grate, what is that mansion where Thou, O God, sittest and watchest over all things? How many Thy musical measures with their consorts, and how many singers sing Thee! The continent, the true, and the patient sing Thee; unyielding heroes sing Thee. The Pandits and the supreme Rikhis, reading their Veds, sing Thee in every age. The lovely celestial maids who beguile the heart in the upper, middle, and nether regions sing Thee. [1. The Rahirâs is a collection of hymns by Guru Nanak, Guru Amar Das, Guru Ram Das, and Guru Arjan. It is recited by the Sikhs as divine service at sunset. The jewels created by Thee with the sixty-eight places of Hindu pilgrimage sing Thee. Mighty warriors and heroes sing Thee; the four sources of life sing Thee. The continents, the worlds, and the universe made and supported by Thy hands sing Thee. O God, the saints who please Thee and who are imbued with Thy love sing Thee. The many others who sing Thee I cannot remember; how could Nanak recount them? He who made this world is, was, and shall be; he shall neither be born nor die. He will do what pleaseth Himself; no order may be issued to Him to the contrary. But hath any one ever seen how great Thou art? None knoweth the extent of Thine outline. Yet they could not describe even a small portion of Thy greatness. Cannot be obtained in their perfection without Thee. Of what account is the helpless speaker? Thy storerooms are filled with Thy praises. Who can prevail against him to whom Thou givest? Nanak, the True One arrangeth all. It is difficult to repeat the true Name. His pain shall depart when he satisfieth himself with it. Then how could I forget it, O my mother? True is the Lord, true is His name. Even an iota of His greatness; His worth they have not discovered. That would not add to or detract from His greatness. He continueth to give us our daily bread which never faileth. Nor was, nor shall be any one like unto Him. As great as Thou art Thyself, O God, so great are Thy gifts. Nanak, without His name they are naught. O servants of God and the true Guru, the true Being, offer this supplication unto Him. My friend and divine Guru, enlighten me with God's name. Under the Guru's instruction, the Name is the helper of my soul; singing God's praises is my occupation. On obtaining the name of God, they are satisfied; when men meet the company of the saints, God's attributes are known. They who obtain not the relish of God's name are unfortunate, and shall go to the god of death. Curses on the lives, curses on the hopes of living, of those who enter not the true Guru's protection and society! The saints who have obtained the society of the true Guru are those on whose foreheads it was so written from the beginning. Blest is that true society, Nanak, by meeting which the relish of God is obtained, and the Name manifested. O my soul, why proposest thou exertion when God Himself is engaged in effort for thee? He even putteth their food before the insects which He created in rocks and stones. [1. Also translated--They who enter not the true Guru's protection and society have lived and shall live accursed. Nanak, by meditating on God, meet Him and thine anxieties shall vanish. O Nanak, recognize the right way. O my God, they who meet the society of the saints are saved. Through the favour of the Guru they obtain the highest rank; though they be as dry wood, they are made green. No one can rely on mother, father, friends, children, or wives. God provideth every one with his daily food; why, O man, art thou afraid? The kulang flieth away hundreds of miles, leaving her young behind her. Who feedeth them? Who giveth them morsels to peck at? Have you not considered this? God holdeth in the palm of His hand all treasures and the eighteen supernatural powers. Nanak is ever a sacrifice unto Thee; O God, Thou hast no end or bounds. That Being is pure, God is the pure Being, God is altogether inaccessible and illimitable. All meditate on Thee; all meditate on Thee; O God, Thou art the true Creator. All creatures are Thine; Thou providest for them all. O saints, meditate on God who causeth all misery to be forgotten. God Himself is the Lord, God Himself is the worshipper; Nanak, what a helpless creature is man! Thou, O God, the one Supreme Being, art fully contained in every heart and pervadest everything. Some men are givers, some beggars; all are Thy wondrous sport. Thou Thyself art the Giver; Thou art the Enjoyer; I know none beside Thee. [1. The following hymn is so known as these are its first words. Thou art the totally infinite Supreme Being; what attributes of Thine shall I recount? The slave Nanak is a sacrifice unto those who serve Thee, unto those who serve Thee. They who meditate on Thee, who meditate on Thee, O God, abide in happiness in this age. They who meditate on God are emancipated, are emancipated, my friend; for them Death's noose is broken. All fear hath departed from those who have meditated on the fearless, the fearless God. They who have worshipped, who have worshipped my God, are absorbed in Him. Blest, blest are they who have meditated on God; the slave Nanak will become a sacrifice unto them. O Infinite One, Thine infinite storehouses are filled with Thy worship, Thy worship. O Infinite One, many are Thy saints, many are Thy saints who praise Thee. They offer various, various worship to Thee, O God; they practise austerities and repeat Thy name, O endless One. 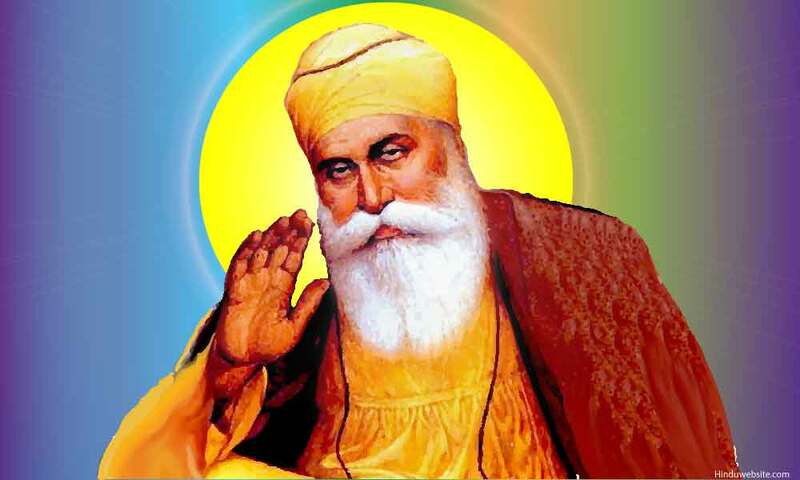 But only they are saints, good saints, saith Nanak, who please God, the Omnipotent. Thou art the primal Being, the illimitable Creator; there is none so great as Thou. Thou art the same in every age; Thou art ever and ever the same; Thou art the eternal Creator. What pleaseth Thee prevaileth; what Thou doest cometh to pass. Thou Thyself didst fashion the whole creation, yet, being created, it shall disappear. Nanak singeth the praises of the Creator who knoweth all things. [1. Reading the Veds, expounding them, making sacrifice, assisting others in doing the same, receiving alms and giving them to other Brahmans. Thou art the true Creator, my Lord. What pleaseth Thee shall come to pass; what Thou givest I shall receive. Everything is Thine: all meditate on Thee. They to whom Thou showest kindness, obtain the jewel of Thy name. The pious have gained, and the perverse have lost it. Thou Thyself hast separated these and blended those with Thee. Thou art an ocean: all are contained in Thee. There is none beside Thee. All living creatures are Thy play. When Thou didst desire separation, they who had met Thee were separated from Thee; when Thou didst desire union, Thou didst blend them with Thyself. And ever dwell on Thy praises. And have become easily absorbed in His name. Thou beholdest and knowest Thy handiwork. The slave Nanak saith, under the Guru's instruction Thou becomest manifest. Man hath obtained a dwelling in that tank whose water God hath made as hot as fire. Man's feet cannot move in the mire of worldly love; we have seen him drowning therein. [1. Gurumukh, literally--they who follow the Guru's instruction. 2. Also translated--Those separated from the saints Thou didst separate from Thee; those united with them Thou didst blend with Thyself. Through forgetfulness of Him thy virtues have melted away. I am not continent, or true, or learned; I was born a stupid fool. Nanak representeth, he hath sought the shelter of those who forget Thee not, O God. Apply thyself to preparation for crossing the terrible ocean. Thou hast not served holy men or known God. Preserve mine honour who have taken shelter in Thee.